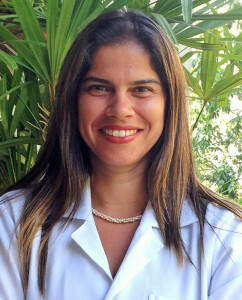 Aléxia Cambria Soares has a Post-graduate degree in Natural Healing Therapies from Unipaz/RJ. She runs liver detox spas in several Brazilian cities since 2010 and collaborates with many Medical Doctors in the treatment of cancer patients with adjunctive therapies. She is the official representative of the Biomat (thermotherapy with amethyst stones –www.biomat.com.br) technology in Brazil since 2009. Founder of “Portal do Bem” (Portal of Goodness – www.portaldobem.net) and “Inspire Produções” (Inspire Productions – www.inspireproducoes.com.br), a company that organize events related to quantum health, anti-aging medicine and consciousness expansion with renowned speakers from various countries. She is the ambassador of the Emoto Peace Project in Brazil. In addition, she has a Bachelor’s degree in Business Administration and a Master’s degree in Marketing and International Business completed in the USA.